Community | George Witt Service, Inc. This is a photo from the class we held last spring for the Girl Scouts. It’s educational and empowering. Ask us if we can do a class for your group. 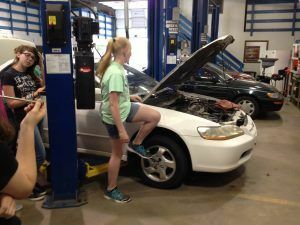 We offer a car class for women and a class on how to buy a car. We’ll be presenting a class for a group of men from Las Vegas who’ll be in town for a Husker game this fall. We love educating the community. We believe that, as a responsible company, we have a great obligation to give back to our Lincoln, Nebraska community. 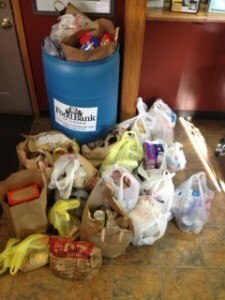 So far this year, we have collected over 500 pounds of food for the Lincoln Food Bank. This is ongoing and our goal is to have over 1,000 pounds for the year. Please help us by bringing food items to us for the Lincoln Food Bank. We also collect good clothing for the Lincoln, Nebraska City Mission. Last year we were able to donate over 40 very nice coats during our annual coat drive. 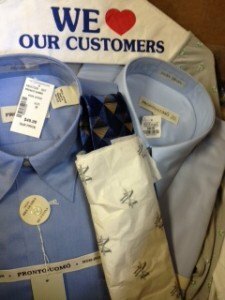 Recently we’ve been collecting donated clothing for job interviews, nice clothing to wear to a job and outfits children will be proud to wear to school. If you have nice clothing or coats, please bring them to us and we’ll make sure they get to the City Mission in good condition. Thank you for your help, call us if you have questions. We’re a lot more than just an import auto repair and service business in Lincoln, Nebraska. There is no greater commitment to community than the dedication to care for our environment and preserve it for future generations. We go to extremes. 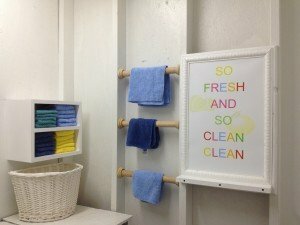 You won’t even find any paper towels in the wash room, just fresh, colorful towels. Use one once and toss it in the basket. If you love the Earth and want to do your part to be green and save the planet, we take care of that for you. We recycle paper, plastics, glass, motor oil, transmission fluid, antifreeze, cleaning solvents, metal, cardboard and more. We don’t use any disposable towels or shop rags. In fact we wash them ourselves. We have a special washing machine that weighs the load first, to determine the minimum amount of water needed, before it washes. We don’t even charge any auto repair hazardous waste disposal fees (we don’t use hazardous things) or “shop supplies” charges. Be environmentally responsible with your car repair in Lincoln. Bring it to us for all your auto service. You can’t do any more for Mother Earth than that. We get paid for our waste oil, but we’re not sharing that. We recycle that money ourselves.